The Macedon Ranges are so close to Melbourne and are often overlooked for the more commercial regions. That lack of commercialisation is in fact a great attraction for an area that sees itself becoming Australia's sparkling wine capital. Travel to the north of the city to the family owned and operated Granite Hills Winery at Baynton. The oldest operating vineyard in the region, their vines date back to 1970. The Riesling, Shiraz and sparkling in particular are highly sought after although their second range of wines also provide some excellent value and choice. Cheese & biscuits would accompany the tastings that would be hosted by the owner and winemaker, Llew Knight or his effervescent wife Andrea. 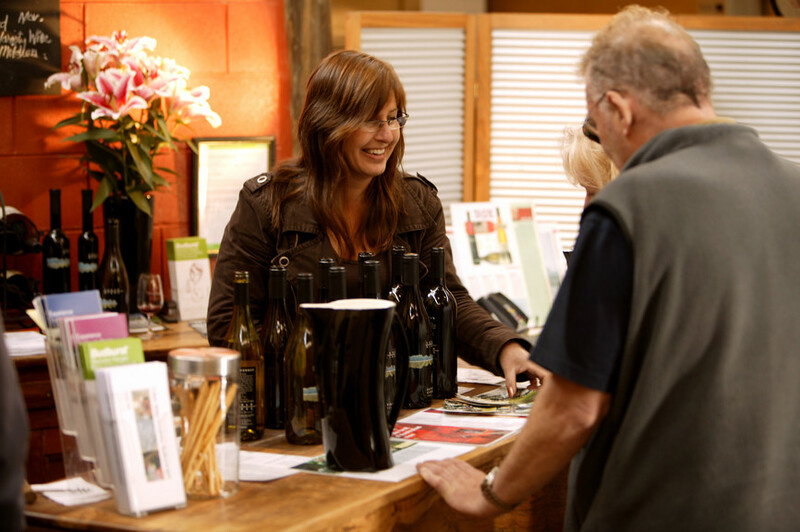 A short drive away and tucked away in a corner of the State Forest is the Cobaw Ridge Winery. This is one of the most idyllic settings in the district. The harshness of the surrounding countryside, covered with granite boulders belies the superb wines that are produced here. Chardonnay, Pinot Noir, Shiraz-Viognier and an Italian varietal Lagrein are all made from estate grown fruit. Enjoy an audience with the owners, Alan & Nelly Cooper. Nearby is the imposing Hanging Rock which rises more than 300 feet. It was formed six million years ago when a particularly stiff type of lava formed a rounded pile of layers on the surface as it was squeezed through a narrow vent in the earth. Since its formation, the mamelon has been exposed to considerable weathering and erosion, resulting in the unusual rock formations that can now be seen. Hanging Rock is also well known from the novel by Joan Lindsay, Picnic at Hanging Rock and the film made of the story – about the mysterious disappearance of a group of local schoolgirls during a picnic at the Rock in 1900. After enjoying lunch at The Royal George in Kyneton, there'd be free time to wander the township for a dose of retail therapy.